Mathematical modelling and making real life connections is the focus of this guide. 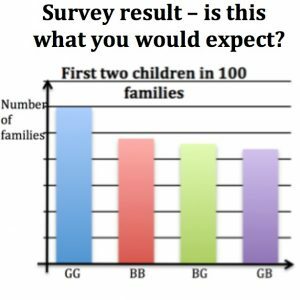 The use of tree diagrams in probability is developed starting with collecting data to model the numbers of boys and girls in families and the orders in which they occur. The connections between the underlying mathematics in these situatons, Pascals Triangle and the binomial theorem are explored. The classroom activities include analysis of false positives in diagnostic tests for cancer and interpreting and drawing conclusions from statistics about public health . Click here for the workshop guide.